Already a few years ago now you composed a correspondence to mark the appearance of Judith Schalansky’s Atlas of Remote Islands: Fifty Islands I Have Never Set Foot on and Never Will. 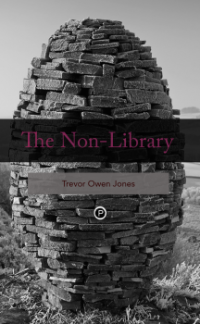 I return to that correspondence, on the publication of your first book, The Non-Library, because to do so seems to me somehow apposite. That may be the reason I find myself writing to you, to try to understand my sense of just why. You note, in the last letter’s closing line, that Schalansky’s maps “are, I’m afraid, indeed the territory.” I wonder if it isn’t exactly on that point—or from it, as a point of departure—that the correspondence might, after a fashion, be continued. Because the map—not to put too fine a point on it—is not the territory. That’s impossible, isn’t it, that the map should be the territory? Or maybe it’s a clue: When—or more to the point: where—might the map in fact be the territory, and what might that suggest about our notion of the impossible? Judith Balso’s contribution to Pedagogies of Disaster (punctum, 2013) is titled, “To Rely on the Inexistent Impossible.” The inexistent impossible: not the least merit of that phrase is that it renders imperative a clarification of what, precisely, “the impossible” could be said to designate. The impossible is, by definition, what is not possible. It is not possible that what is impossible could exist. And yet it is not at all clear, with respect to the impossible, where existence stands in relation to possibility. There is an existence of the impossible, in the notion of logical impossibility perhaps foremost. But is there not something to the intuition that the impossible, in the strict sense, is inconceivable? When you write of The Non-Library at “the height of the impossible” I wonder whether the impossible perhaps culminates, at its height, in that part of it that does not exist. Even then: What, in the impossible, would be the relation between existence and non-existence? How might one describe, or inscribe, the cartography of the impossible? That it may not be possible to do so is what I understand Balso’s phrase to imply. And that’s also the sense of the negative in The Non-Library I rely on in reading The Non-Library. That the map of the inexistent impossible may wholly coincide with its territory is what your book might be said to catalogue. Forgive me for going on at length, but I felt the need to mark that correspondence, however remote. To you my thanks and my congratulations.